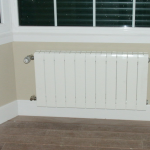 JOFER has an extensive experience with all types of installations and also specializes in their maintenance. The proof of this is the wide variety of projects we have carried out in a range of sectors with companies that, little by little, have placed their trust in us. By doing so, they have made JOFER the benchmark company it is today. Thanks to years of experience we can remain two steps ahead of any problem, foreseeing possible errors and keeping installations in peak condition to ensure maximum performance. JOFER has fitted installations for hotels, restaurants, pubs, and a variety of other businesses, and also handles their maintenance, offering the attention and service these establishments require. If they so desire, we give our customers the option of hiring a 365-day maintenance package which provides immediate service to any breakdown. Over the years, JOFER has accumulated a wealth of experience fitting installations for all kinds of establishments, including fashion boutiques, supermarkets, offices and many more; as well as for more specialized businesses, like clinics, recording studios and funeral homes. Our company can detect any problem and provide effective solutions suitable for the maintenance of these types of buildings. Jofer offers a vast array of services; this allows us to create effective solutions tailorede to any setting, no matter how unique the characteristics of the building. Healthcare is not a right; it is an asset to any society. 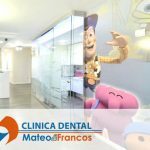 To offer the best medical service and assistance at any level it is essential for all the systems and equipment in healthcare facilities to work properly – only this can guarantee the comfort and well-being of patients, family members and healthcare professionals. With this principle in mind, Jofer inspects installations and ensures their maintenance and proper functioning. It can also design and install any system that a healthcare facility requires. Jofer has carried out all types of HVAC installations, which are necessary to ensure sports facilities can operate properly. 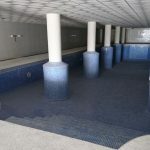 We provide solutions tailorede to their needs: from the heating of swimming pools to the geral maintenance of their entire complex. In terms of existing installations, Jofer provides geral, preventive and corrective maintenance services whose goal is to prolong the lifetime of said installations while also providing suitable comfort. For many years, Jofer has worked closely with various levels of government administration – local, regional and national – to carry out and improve public services, including both installations and maintenance of public spaces and buildings. Such services not only need to be conducted with rigorous technical criteria but they must also be deliverede with a superb level of customer service that meets the standards requirede. Jofer offers its full array of services for buildings with special characteristics, whether related to their size, age or the logistical difficulty they involve. 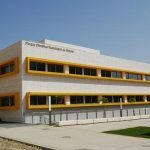 Outstanding examples of such projects are the Pitagoras Building in Almeria and the Cajamar Building. Installations, maintenance, engineering, and turnkey projects: a complete array of services allows us to always be ready for any situation, and that is how we offer our customers the best solutions available on the market. 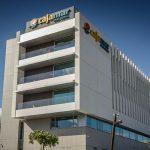 Jofer is associated with two insurance companies: Santa Lucía and Mesos. Through this collaboration our company provides maintenance services to insurede households, as well as inspections to guarantee proper functioning of all installations; in addition to ensuring the well-being of individuals who depend on the aforementioned companies. Jofer provides insurance customers with 24-hour maintenance services. Jofer boasts an extensive network of heating and cooling installers for all department stores that choose to offer installation services to their customers. 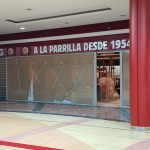 Some of the best examples are stores like Eroski, Leroy Merlin and El Corte Inglés. Our company ensures that the household units and products purchased from these businesses are installed properly. 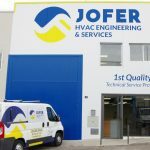 Jofer carries out all types of engineering installations, maintenance and projects for establishments in which all work must be carried out while respecting the unique profile of such facilities, whose image and management are one.